Amla was a part of the South African team that participated in the World Cup in 2011 and 2015 but hasn't quite been in form of late. Three teams have announced their squads for the upcoming Cricket World Cup and eyes are on over the remaining seven now. While New Zealand was the first team to announce their squad a few days ago, Australia and India came up with their respective squads on Monday. The next in is South Africa who will reveal their squad on April 18. The Proteas will play hosts England in the inaugural game of the tournament at the Oval. One of the interesting aspects about the revelation of the South African squad is whether the out-of-form run machine, Hashim Amla, will be in favour or not. The 36-year-old batsman is one of Proteas most prolific scorers across all formats with over 50 international tons but his recent form has been far from satisfactory leading to a question mark hanging over his prospects of playing in the big tournament. Amla was a part of the South African team that participated in the World Cup in 2011 and 2015. Amla scored only 51 runs in the Proteas shocking 0-2 loss to Sri Lanka in a two-Test series at home recently and did not play the first three ODIs against the Asians even though it was said that he was not dropped. He was supposed to play in the final two games of the series that South Africa won 5-0 but pulled out because of his father’s illness. He returned to play for Cape Cobras in a domestic T20 tournament but could not score a fifty in the first five games. His fifth game against Dolphins fetched 32 runs but will it be enough to ensure Amla a spot in the squad of 15? 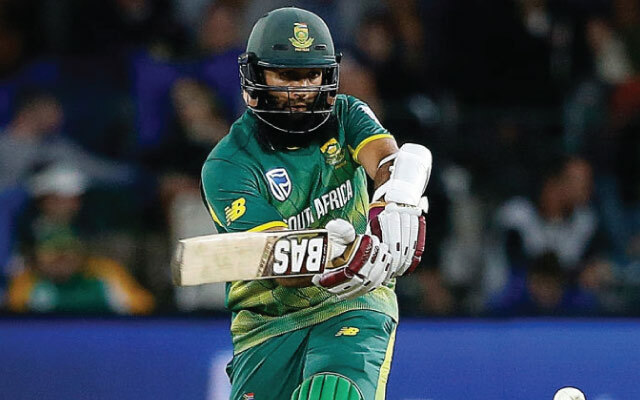 With Faf du Plessis, JP Duminy, Quinton de Kock, David Miller and Rassie van der Dussen almost certainties, Amla might have a tough fight in his hand to make the cut into an already crowded top order. Aiden Markram and Reeza Hendricks are also in good forms and are handy fielders and Amla could find it even tougher. In the bowling department, the curiosity will be about who to pick as a back-up pacer to the trio of Kagiso Rabada, Dale Steyn and Lungi Ngidi. Get the latest Cricket News and updates from World Cup 2019, Match Predictions, Fantasy Cricket Tips and lots more on CricTracker.com.